The Jump Force announcement at E3 2018 sent shockwaves through the anime and video game community. As an anime game like Jump Force never really had the stature in North America or Europe to be featured so prominently. However, times have changed and anime games are big business especially Jump games and Jump Force seems to be one of the biggest yet. What my take away from this is the characters largely as they exist in their manga will exist in the world of Jump Force which is our world. Hence the semi-realistic rather then cel-shaded graphics that are more standard for these titles. For most of the characters shown and assumed to be present in the game how they will relate to one another is pretty much set in stone. Luffy, Goku, and Naruto will obviously be good attempting to save people from Freiza and the various forces of evil the game throws against them. All pretty basic stuff, as to be blunt Jump manga trends towards the basic in their plotting. Death Note however is quite different from your standard issue Shonen Jump manga. Very different. 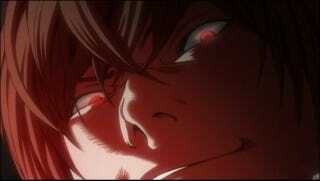 As Light Yagami is not a hero like other Jump protagonists, he is not even an anti-hero, he is a straight up villain. One of the few villain protagonists in all of shonen manga in fact. What makes Light even more unique was the fact he never once was a good guy. He killed with little provocation. Even his noble goal of eradicating crime was inherently selfish, doing so only to become the “God of the New World” and that was Light in the FIRST CHAPTER. By the time he was killing FBI agents and his friends there was no doubt Light Yagami was a bad dude. Furthermore, unlike other Shonen Jump manga the world of Death Note is explicitly modeled after our own. With real life locations being a common occurrence in Death Note. As such the world of Death Note and our own merging would be seamless, the only difference between them is Shinigami’s do not exist here. Making Light uniquely suited to blending in and avoiding the more directly powerful fighters like the Big Three (sorry Ichigo Goku’s taken your spot it seems) for a prolonged period of time. Also as Nakajima mentioned Light and Ryuk are impossibly overpowered, if he knows your name and face you are dead. As such for Jump’s 50th birthday I think it would be fitting to finally recognize Light Yagami for what he is. Shonen Jump’s greatest villain. While he doesn’t match the maniacal evil of Freiza as an example, he is so much more then that. He is a villain even some readers can’t bring themselves to even name as one. He is a villain some of us even root for. Light must be Jump Force’s ultimate foe, there can be no other.